Villa Vaucluse Apartments being in Tropical North Queensland is the perfect central accommodation base for exciting tourism destinations taking you to the World Heritage Listed Great Barrier Reef and Daintree National Rainforest, Tropical Cairns, The Coral Sea, lush Cairns Highlands and the Great Australian Outback. Be amazed by an underwater world of colour and brilliance, enjoy well known and popular snorkel & dive tours that allow you to discover the renowned Agincourt Reef, a special reef known as a ‘ribbon reef’ that runs parallel to the Continental Shelf, at the very outer edge of the Great Barrier Reef and find secluded Tropical Islands in the Coral Sea to rest and relax. Experience 4 x 4 Wheel Drive Adventures that show you the place the world heritage listed Daintree rainforest meets the Great Barrier Reef! Learn about the local indigenous culture at cultural centers Tjapukai and Pamagirri Aboriginal Experience. Be stunned by the scenery riding on the World renowned Kuranda Scenic Railway and Sky Rail. Guests glide just metres above the canopy in Skyrail’s comfortable six-person gondola cabins which provide spectacular and uninterrupted views of the rainforest, tropical Cairns, Coral Sea and The Great Barrier Reef or take it all in up, up, and away in a Hot Air Balloon cruising the sky's above Far North Queensland fertile lush Highlands. Get up and personal with the amazing wildlife at the many Wildlife centers such as Cairns Tropical Zoo, Hartley Creek Crocodile Farm, The Koala & Wildlife Park and The Australia Venom Zoo, to name a few. Learn a tale of the Rainforest, wander through the captivating charm of a past romance in the castle of Paronella Park relive the romantic dreams gazing at spectacular waterfalls in the lush tranquility of delightful gardens and mysterious rainforests, one tourist attraction not to miss. For those thrill seekers out there, AJ Hacket Bungy, Skydive Cairns and Airplay Hang Gliding are a few experts in the area of extreme fun sure to get your adrenalin pumping. You will never feel that you have nothing to do, with www.villavaucluse.com.au you can book any activity you desire, with convenient pick-up and drop-off right to our front door included. With our local knowledge of the Cairns area & only the best tours available it gives us pleasure to help you find specialized experiences to match your interests, time frame and budget. 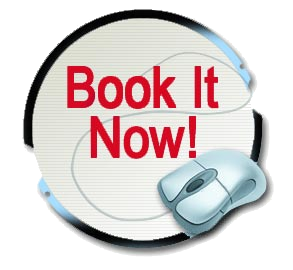 Our advice is "Book now, don't wait till the last minute", have the piece of mind that all your fun is taken care of. Price is for up to 2 people, extra people are charged at $25.00 each per night.